Having experienced field activities the day before, we were all excited and looking forward to visiting the Bujang Valley Archaeological Museum. Along the route, the presence of Gunung (Mount) Jerai and the padi-fields were mesmerizing and helped set the mode for more excitement ahead. It is the first archaeological museum in Malaysia and it was opened on January 23rd 1980 by His Royal Highness Tuanku Abdul Halim Mu’adzam Shah, the Sultan of Kedah. It was built to exhibit proto-history artefacts found in Bujang Valley which was considered a leading entreport in its time. Upon arrival, we were warmly greeted by the museum staff and the sunny weather. After group photos, we started with an outdoor walk, admiring those ancient stone artefacts and the reconstructed candi from the glorious Bujang Valley era. 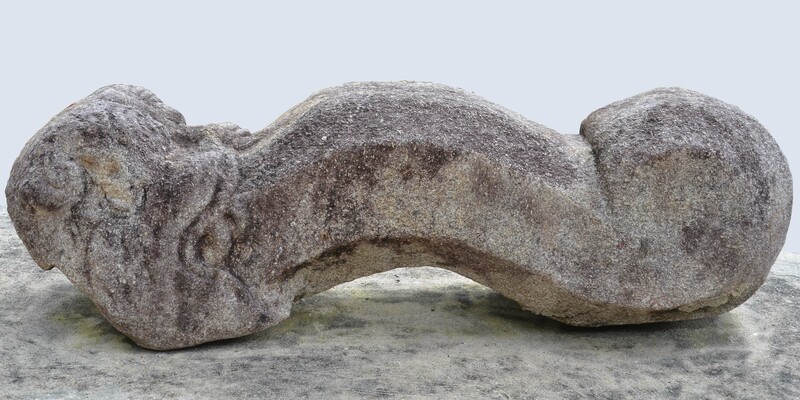 Among the stone artefacts on display are the Singha Mukha (carved stone with face of a lion that served as the guardian of temple), various types of pillar and statue bases, granite blocks, stone mortars, and even giant sugarcane juicers from 19th CE. 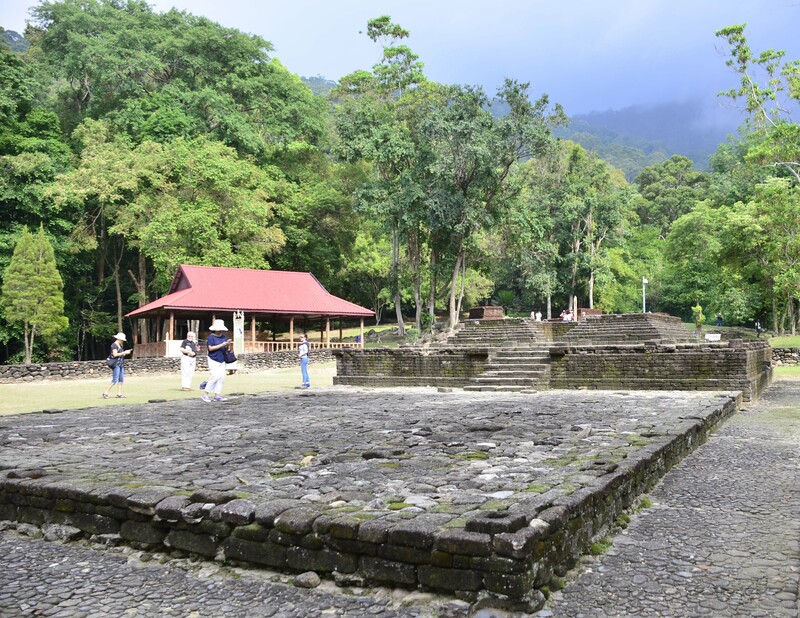 There are 4 temple ruins or candi within the museum compound and we followed the walking trail that led to them. Candi Pendiat (Site 16) was discovered in 1940 by Quaritch Wales at Kampung Pendiat and it was relocated to the museum compound in 1974. Candi Bukit Batu Pahat (Site 8) is the most well-known candi in Bujang Valley. It was excavated by Quaritch Wales from 1936 to 1937 and was reconstructed in 1960 at its original place. Candi Pengkalan Bujang (Site 21), also discovered by Quaritch Wales in 1936 as a pair with Site 22 at Kampung Pengkalan Bujang, was relocated here in 1976. Candi Bendang Dalam (Site 50), excavated sometime in 1960s at Kampung Bendang Dalam, was relocated to the museum in 1976. En. Azman, who is the museum curator, guided us through the walk and patiently explained the various candi, their components and functions. He had to repeatedly point out the position of mandapa (lower platform), vimana (higher platform which housed with lingga and yoni), and somasutra (the flow of holy water) – we were like a bunch of school kids all over again. We were then ushered to the main building and given a tour of the objects on display. A model of a map of Bujang Valley is placed at the entrance to give visitors an idea of the geographical landform. Remnants of various religious artefacts as well as inscription stones are displayed at the gallery. Hindu figurines, Buddha statues and inscription stones highlight the influence of Hindu-Buddhism in the early era. Various other treasures such as ceramics, porcelain, beads and coins indicate that Bujang Valley was indeed a thriving entreport. 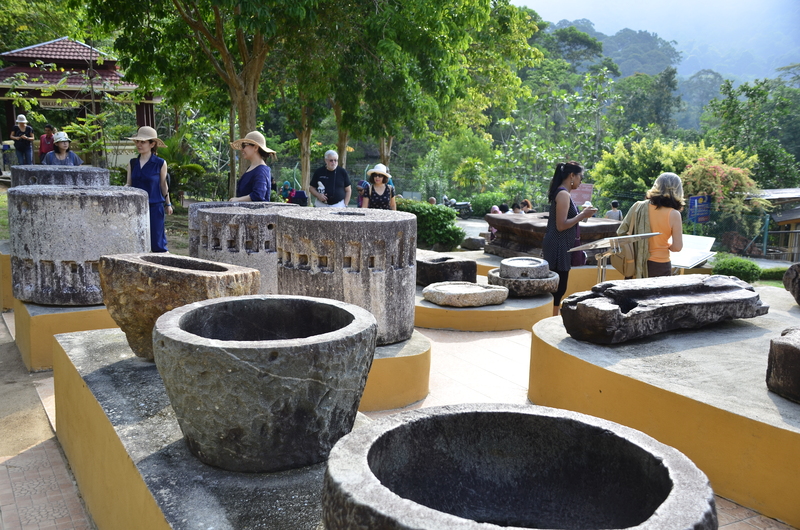 As we departed, the museum not only reminded us of the architectural and archaeological marvels found in Bujang Valley but the surrounding lush tropical rainforest and the magnificent Gunung Jerai backdrop left us with a lasting impression and a peaceful mindset. 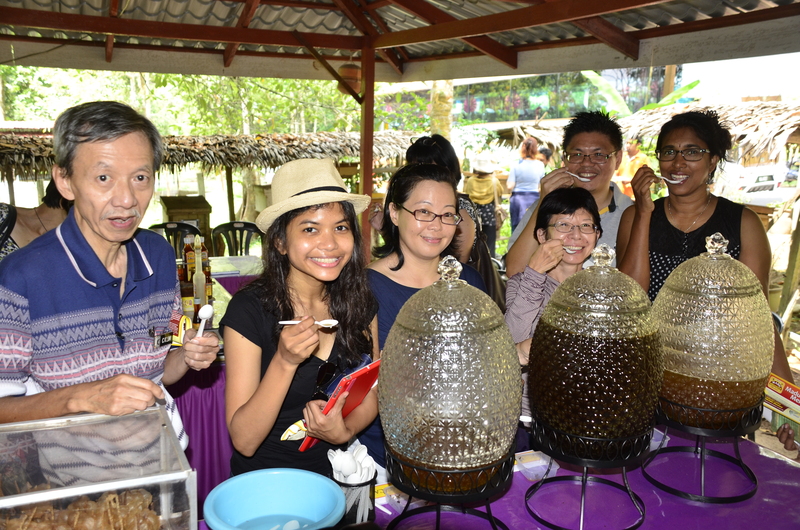 Soon after leaving the museum, we were treated to some nice surprises before our journey back to Kuala Lumpur: a quick stop at the Kelulut Honey Farm in Merbok followed by a lunch stop at Tanjung Dawai for seafood. 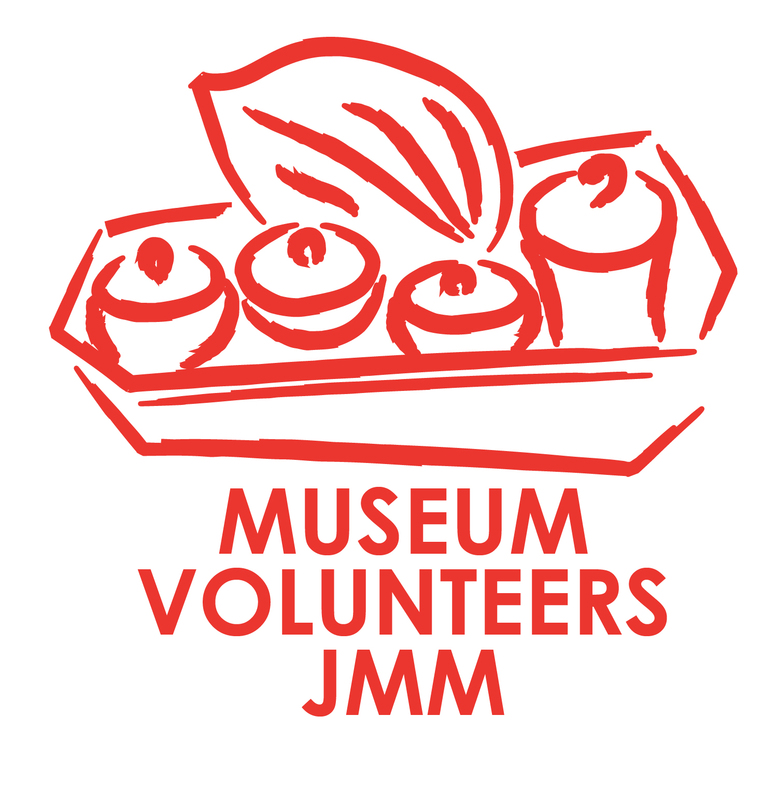 We, as Museum Volunteers, are certainly a privileged lot with all the warm welcomes and hospitality received throughout the journey. As the bus headed south to Kuala Lumpur, we felt blessed that we now have more stories to share with the rest of our museum friends and visitors.